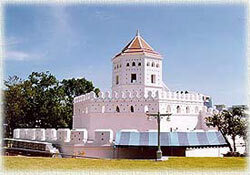 Phra Sumeru Fortress - Near Khaosan Rd. Playing time = 3 : 04 minutes. Flash file size = 13,522 kB.